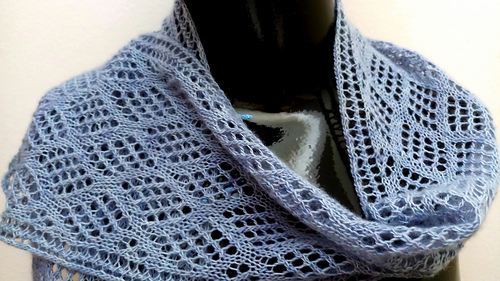 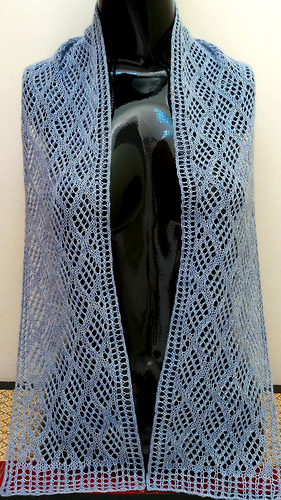 Lacy and light this accent piece was knit with one ball of cowgirlblues Merino Lace Single. 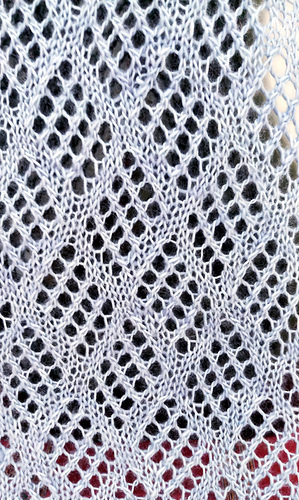 The Iced Berry colorway adds to the ethereal look of the scarf that measures 6-3/4x57 inches or 17x145cm. 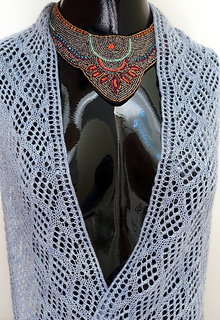 The pattern includes written instructions and there is also a chart for the overall lace stitch pattern.